Do you admire the attitude of explorers? They are the people who risk life and limb to find what lies at the edge of our grasp. 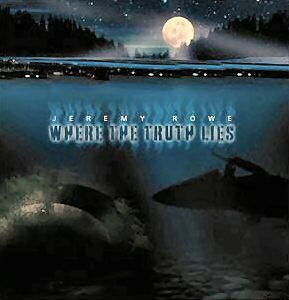 Fascination with shipwrecks and UFO sightings on Lake Superior inspired “Where The Truth Lies,” the new album by rock musician Jeremy Rowe. Jeremy brought over his acoustic guitar and we talked about his new album, including stories behind the music. I like this album a lot. I think you will, too. Jeremy’s serious attitude about music is nicely balanced with his sense of humor in life. Songs from the album are available to hear and purchase on the Podsafe Music Network. Or, buy the CD version of the album at CD Baby or Digstation. Our (206) 666-xxxx telephone voicemail stopped working a few months ago. The new one is 206-203-2200. Voicemail using by your computer microphone is one option to reach me, or send email to AudioAttitude (at) gmail (dot) com. Digg AudioAttitude here. Help us improve by completing a quick survey here. Thank you for listening!